lovelycomplex22 suggested chirashizushi (ちらし寿司 / scattered sushi); Japan Australia suggested Chiba Prefecture (千葉県), Chichi-jima (父島 / Father Island), Chichi no Hi (http://en.wikipedia.org/wiki/Chichi-jima / Father’s Day), and chitose ame (千歳飴 / candy given to children on Shichi-Go-San); and Jay Dee suggested chirashizushi, Chiba, Chigasaki (茅ヶ崎 / a city in Kanagawa Prefecture), chikan (チカン / a groper, usually on the train), Chichibu (秩父 / a city in Saitama), chijimi (チヂミ / Korean pancake), and chikuwa (竹輪 / a tube of fish paste). Chichibu is a city in Saitama Prefecture (埼玉県), which is in the Kanto region (関東地方) of Honshu (本州), Japan’s largest island. The map below shows the location of Chichibu in Saitama, and if you zoom out you can see how close it is to Tokyo. I’ve never been to Chichibu, but it looks like a really beautiful place from what I’ve seen online and in books. The city is largely mountainous and the Arakawa River (荒川) passes through the area. 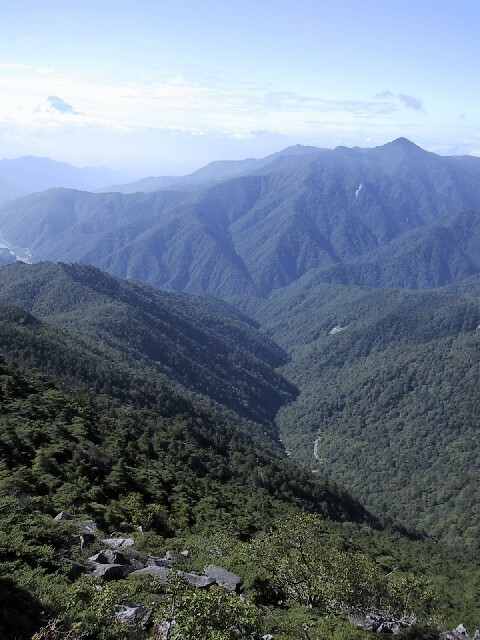 Much of the city belongs to the Chichibu-Tama-Kai National Park (秩父多摩甲斐国立公園), which contains hiking trails, ancient shrines, and amazing views. If you’re planning to visit Chichibu, spring (mid-April to early May) is probably the best time as there is a chance to see a very colourful display of flowers called ‘shibazakura’. Although translated as ‘lawn cherry blossom’, these flowers do not actually belong to the cherry tree family. 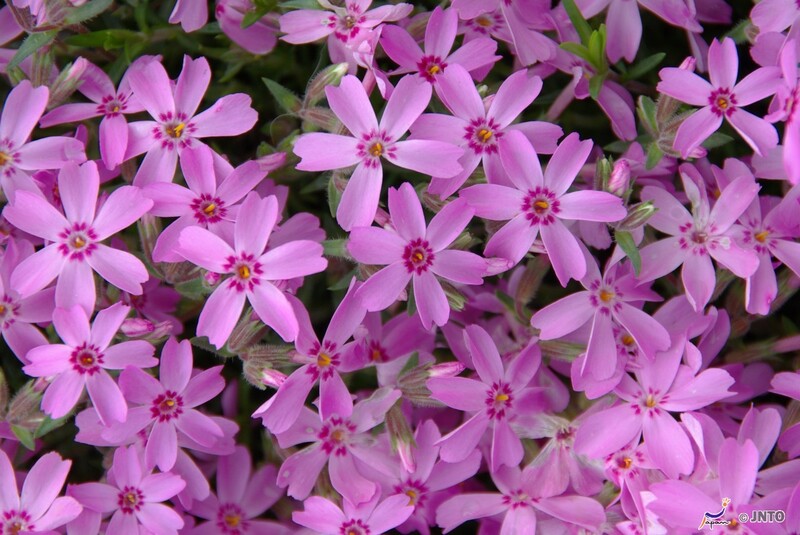 Actually, they are ‘phlox subulata‘ or ‘moss phlox’, but because they look similar to cherry blossom they were given the name ‘shibazakura’ in Japanese. The plant grows across the ground, covering everything with a carpet of pink and white flowers. 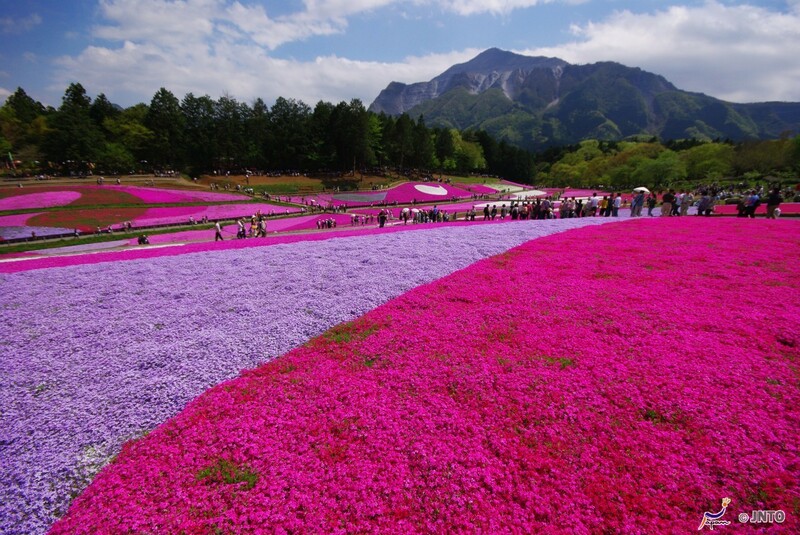 In Hitsujiyama Park (羊山公園) in Chichibu, there is a hill called ‘Shibazakura-no-Oka’ (芝桜の丘 / ‘Pink Moss Hill’), where an area of approximately 17,600 square metres is covered with the flowers. For more information, visit JNTO’s ‘Varieties of cherry blossom’ page and scroll to the bottom. There’s also information about blooming times on the Chichibu Visitor’s Guide here (in Japanese). If flowers aren’t your thing, the other good time of year to visit Chichibu is the beginning of December when the Chichibu Night Festival (秩父夜祭 / Chichibu Yomatsuri) is held. The festival is held on 2nd and 3rd December, with the main parades and fireworks display taking place on the second night. The festival features floats decorated with lanterns and carvings, and they are paraded through the streets accompanied by drum and flute music. The main attraction of this festival takes place on the 3rd (the 2nd features an event held on the eve called Yoiyama). Two kasaboko which are large parasol-like objects decorated on top with weapons such as spears, and artificial flowers together with four yatai floats shaped like small houses are paraded through the city streets. In the afternoon, the floats are transformed into stages by pulling out wings on either side, where Kabuki plays are performed. The festival has a history of more than 2,000 years, and draws in huge crowds, so be sure to get there early if you want to secure a good spot and have a chance of getting something to eat from one of the street stalls. 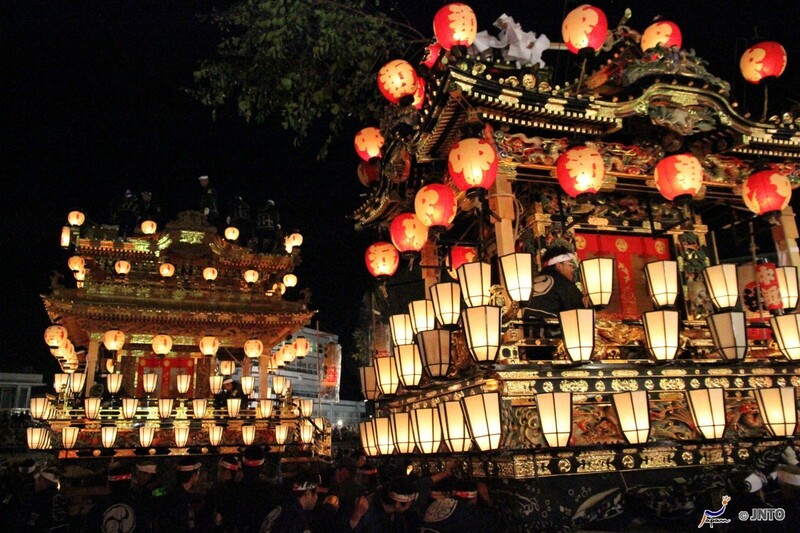 For more information about the Chichibu Night Festival, visit Japan Guide or JNTO. 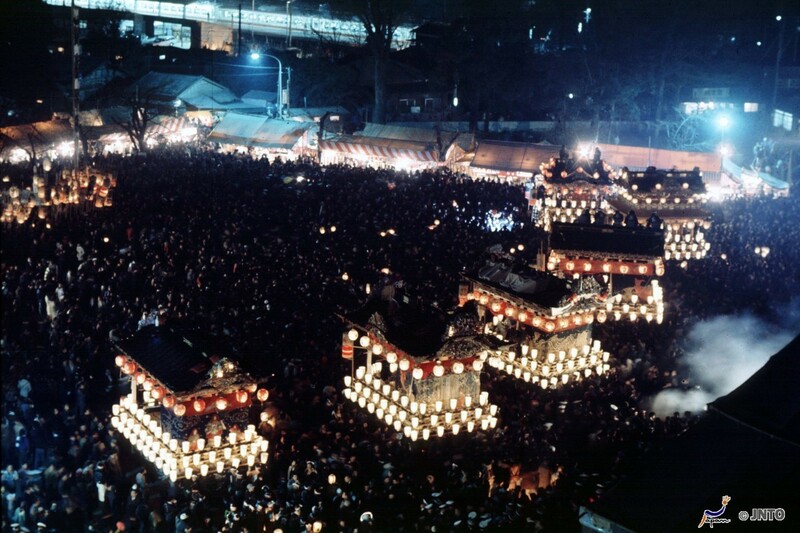 The Chichibu Night Festival is one of the festivals of the Chichibu Shrine. 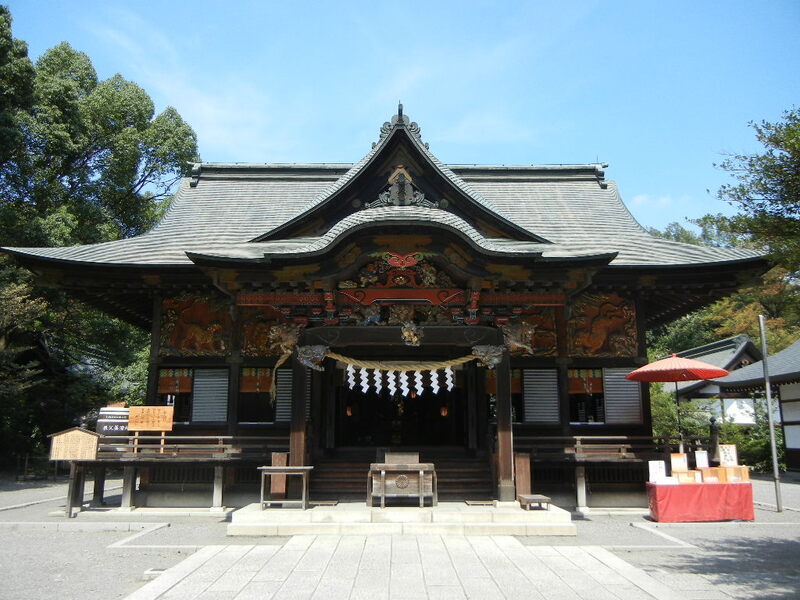 The shrine also hosts other events, such as the rice-planting festival which takes place at the beginning of April and the Kawase Festival which is help on 19th and 20th July. As I mentioned above, Chichibu is not far from Tokyo. It takes less than 90 minutes by train from Ikebukuro Station in Tokyo to Seibu Chichibu Station by the Seibu Ikebukuro Line, and only costs ￥750 (about £5). For more information, visit JNTO, or for information in Japanese visit the Chichibu Visitor’s Guide (note that there is an option for English on this site but it uses a translation tool and the results are… interesting!). Next week we’ll start with つ (tsu), so please leave a comment below suggesting a topic for things beginning with つ. Topics can be anything, as long as they are connected to Japan – food, places, people, characters, whatever you want to hear about! Just remember that the words you suggest must be Japanese words. A few suggestions for next week are: Tsu (a city in Mie), Tsukimi (moon viewing), Tsukiji (fish market in Tokyo), and Tsumago (Nakasendo town in Nagano). Yeah, it looks beautiful, doesn’t it? They say the town of Titipu in The Mikado was named after Chichibu. tsu is hard…all I can think of is tsukiji market. Gosh, you must spend so much time researching these every week! I’ll also suggest Tsukiji fish market for next week, along with Tsugumi Oba.